The Art Workers’ Guild is an organisation founded in the 1880s and closely associated with the Arts and Crafts movement. It now consists of roughly 100 architects and 250 makers, bound by good craftsmanship and design rather than by style. Through a vibrant network of local societies, The Arts Society (previously National Association of Decorative and Fine Arts Societies- NADFAS) opens up the world of arts to everyone. With monthly lectures on a broad range of topics as well as study days, educational visits and holidays at home and abroad, The Arts Society is not just a great way to learn – it’s a fun way of making new and lasting friendships. The British Association for Local History encourages and assists the study of local history as an academic discipline and as a rewarding leisure pursuit for both individuals and groups. Romanesque sculpture marks a high point of artistic production in Britain and Ireland. A good deal of this sculpture remains throughout these isles. The aim of CRSBI is to photograph and record all the surviving sculpture, and make it available over the Internet. The Courtauld Institute of Art is one of the world’s leading institutes for teaching and research in the history of art and conservation, it was awarded a 5* grade in the most recent Research Assessment Exercise. Uniquely it houses world famous collections of paintings, prints and drawings in its Gallery. The Institute of Historical Research (IHR) provides resources for historians. These resources include online articles, free event advertising, MA/PhD study, training courses, an open-access library and more. 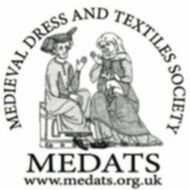 The aim of the Medieval Dress and Textiles Society is to promote education in medieval dress and textiles by the improvement of public knowledge of textile history. Established in 1985, Morley Medieval Society is well known amongst historians and research scholars as a popular and responsive lecture forum. It hosts a number of guest lecturers each term to talk on a wide range of medieval arts topics. The V&A is the world’s leading museum of art and design. It houses a permanent collection of over 2.3 million objects and contains some of the greatest resources for the study of architecture, art and design. The V&A Learning Academy offers a wide range of flexible, part-time adult courses, study days and workshops. The full programme is available online. For more than 12 years, The London Art History Society has worked with Real Holidays to offer study tours to continental Europe. Art Pursuits Abroad Limited has been organising cultural holidays and art history courses since 2003. Our Study Tours (cultural holidays) combine the art of travelling with the pleasure of looking at and learning about art and history in beautiful places. ACE Cultural Tours runs tours and cruises in the United Kingdom, Europe and across the globe, covering every aspect of the arts – music, fine art, the theatre – as well as architecture, archaeology, history and the natural world.